FLORENCE, 1 November: The International Quidditch Association (IQA) today announced that they have selected the City of Florence to host the IQA World Cup, working in conjunction with Human Company. National quidditch teams from around the world, from the UK and Denmark to the USA and 2016 World Champions Australia, will fly to Florence to compete to be crowned international champions of the sport. With 31 nations planning to attend the tournament, Florence is expected to host the largest tournament in quidditch history, with an expected five hundred players coming to the city to compete and play. This will follow on from the IQA World Cup in Frankfurt in 2016, where Australia defeated the USA in the finals. After a competitive bidding process which involved the USA, UK, France, Turkey, Australia, and Belgium, Italy was chosen as the most suitable country for 2018. 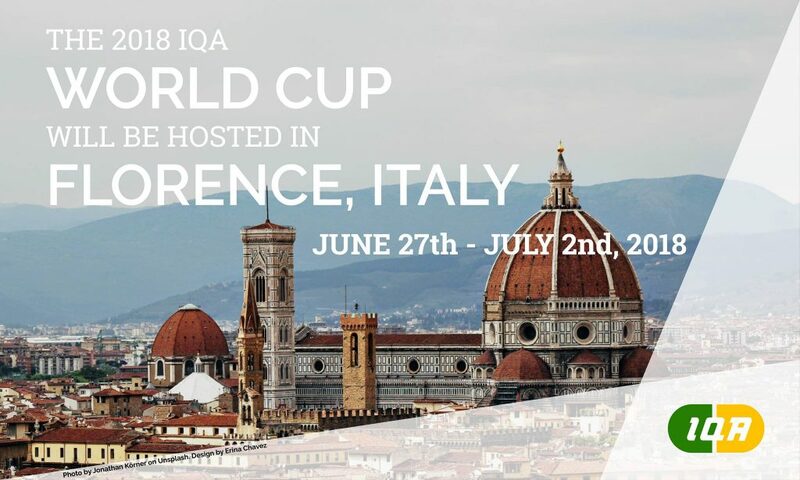 With a high-quality venue, great support from the City of Florence, and a detailed plan by Human Company, the IQA will collaborate closely with the organisations to ensure the success of the international tournament. As a center of history, culture and art, Florence is set to support athletes and participants, with the support of the City aiding the stay of the nations attending. To coincide with the competition, the Cultural Department of the City of Florence will be organising lectures and special side events in the main historical libraries and other places of cultural interest in town, for all age groups. Quidditch was adapted from the Harry Potter novels almost twelve years ago in the US. It combines elements of rugby and dodgeball to create a fast paced, full contact, mixed gender sport. It has proved to be a popular game for athletes and Potter enthusiasts alike and has grown enormously in the past few years. There are now teams on every continent as well as many countries hosting annual club championships for their top teams. To compete, teams must have a mix of genders on pitch at all times. The sport aims to be as inclusive as possible and to encourage more women in sport and increase awareness of non-binary genders. Europe: Austria, Belgium, Catalonia, France, Germany, Iceland, Ireland, Italy, Norway, Poland, Slovakia, Slovenia, Spain, Sweden, Switzerland, The Netherlands, Turkey, UK. Americas: USA, Argentina, Brazil, Canada, Chile, Mexico, Peru. Asia & Oceania: Australia, Indonesia, Malaysia, New Zealand, South Korea, Vietnam. Have you ever considered playing for the Flying Dutchmen?